For our third book selection, we are exploring the underworld of global trade and the black market. 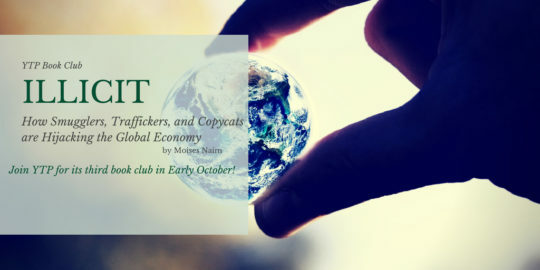 Join us in reading “Illicit: How Smugglers, Traffickers, and Copycats are Hijacking the Global Economy,” by Foreign Policy’s editor Moises Naím. His 2006 overview of the illegal international movements of goods, people, and ideas is very relevant in today’s global economy and political atmosphere. Since the book is 300+ pages, we want to give everyone plenty of time to read– our discussion will take place in early October!